Oratory played an important part in antebellum education because it fostered the necessary skills for careers in politics or the law. Local townspeople and influential citizens often joined faculty and other students at public speaking events. Student orators wore the robes of their debating societies, and they sometimes delivered their speeches in Latin or from memory. 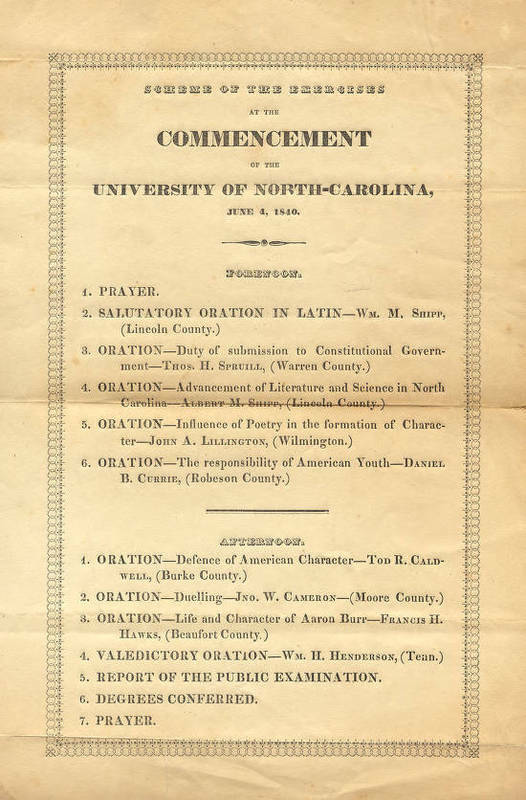 The university required every graduating senior to deliver a public oration approved by the faculty. At the 1840 commencement, topics included American youth, the American character, dueling, and Aaron Burr.